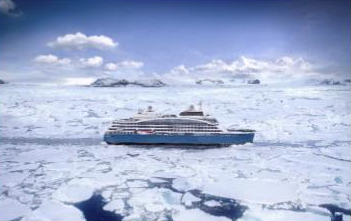 There’s a ton happening in the cruising world this week – from new ships to new itineraries. Meanwhile, we’ve started using a blue pen instead of a black one to spice things up a bit. 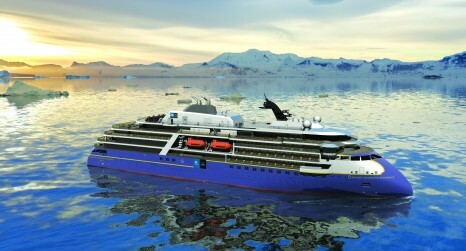 In the company of a renowned expedition team, guests will witness the big ice of remote West Antarctica; prolific wildlife and impressive ice shelf of the Ross Sea region; and the sub-Antarctic islands of New Zealand and Australia, World Heritage sites for the thousands of seals and millions of penguins here, including huge colonies of king penguins and the endemic royal penguin. This is wilderness and wildlife at its finest, with Lindblad given special permission to explore strictly regulated islands, which are protected at the highest level of conservation status by the New Zealand government. In an offering unique to Scenic, this new itinerary takes in a section of the ancient Silk Road and includes two nights in Dunhuang or the City of Sands where guests will have the opportunity to experience incredible natural wonders that are surely once-in-a-lifetime experiences. Such as the Yadan Landform, a massive geological park that is comprised of strange wind eroded landforms, which appear like a medieval city. Or a camel ride through the Singing Sand Dunes, a natural phenomenon where sand grains shuffle down the slopes of sand dunes and produce a deep, groaning hum that reverberates for miles. 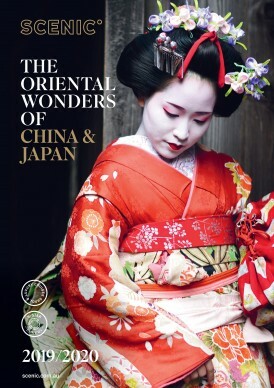 There are many jewels in the 2019/2020 China program, from Beijing to the Gobi Desert and the mighty Yangtze River to the Tibetan Plateau. However, you can also look forward to so much more. Discover exciting Shanghai, delight in unique Xi’an. Indulge in China’s incredible cuisine and in the visual splendour of its greatest waterway. When all is done, you may find yourself changed by all you’ve seen and experienced. And that, of course, will be the finest jewel of all. 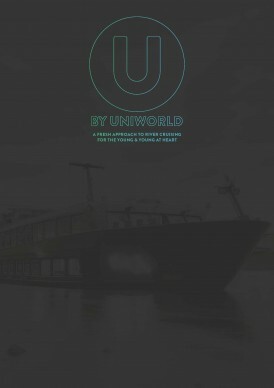 U by Uniworld, the first ever river cruise line dedicated to a new generation of travellers, has launched its 2019 brochure for the young and young at heart – and it’s set to hit agents shelves this week! Keeping with the brand essence, the cover is black, sleek and chic, in line with the uber cool luxe black ships. And by incorporating some exciting innovation, agents and clients can now interact with the brochure by ‘zapping’ the pages with their smartphone to bring them to life. By using the augmented reality Zappar app, users can view U videos, interactive itineraries and photos – this technology is also the perfect tool for agents to help sell the U by Uniworld experience to their clients. Be prepared to be greeted by a fun and friendly crew combined with the high-standard of luxe service and amenities that the Uniworld brand is renowned for. 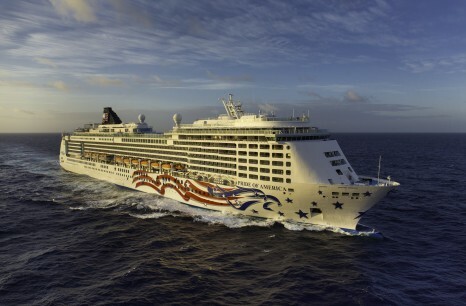 Cruises on The B start from only $2,399 per person, including accommodations, daily delicious farm-to-ship meals, select offshore excursions, two dedicated U hosts, onboard activities such as paint and wine and mixology classes, karaoke, silent discos, rooftop fitness and more. 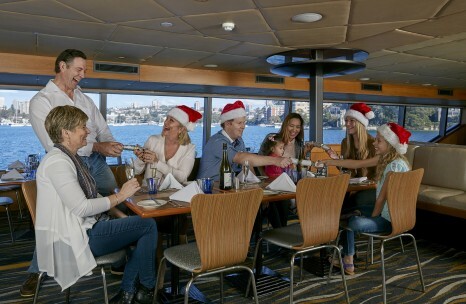 Held on-board the prestigious MV Sydney 2000, with three separate dining decks and an open top deck offering 360-degree views of Sydney Harbour, choose from three Christmas Day lunch cruises. The Sky Deck Christmas lunch is the ultimate Christmas Day experience. Soak up the million-dollar views from the uppermost dining deck while enjoying a five-course premium menu and an open bar of superior spirits, premium wines, beers and soft drinks. MSC Cruises, the world’s largest privately-owned cruise company and leading cruise brand in Europe, South America, South Africa and the Arabian Peninsula, and Fincantieri, one of the largest shipbuilding groups in the world, today cut the first steel of MSC Seashore, the first of two MSC Cruises Seaside EVO ships currently on order at Fincantieri. At a ceremony held at Fincantieri’s shipyard in Monfalcone, Italy, MSC Cruises’ Executive Chairman Pierfrancesco Vago and Fincantieri’s Chief Executive Officer Giuseppe Bono launched the cutting of the first steel of this new ship. Coming into service in Spring 2021, the 169,400 GT MSC Seashore will be the first in its kind, further enriching MSC Cruises’ Seaside Class of ships with new cutting-edge features including: an additional lounge at the aft; a further enhanced MSC Yacht Club covering three forward decks; specialty restaurants at the level of the promenade at deck eight for dining al fresco whilst being close to the sea; a larger number of whirlpools across the ship; and 200 additional cabins as well as even more generous public spaces. BREAKING: Only TWO tickets left for the Australian Travel Awards!